The picture was taken in 1942. 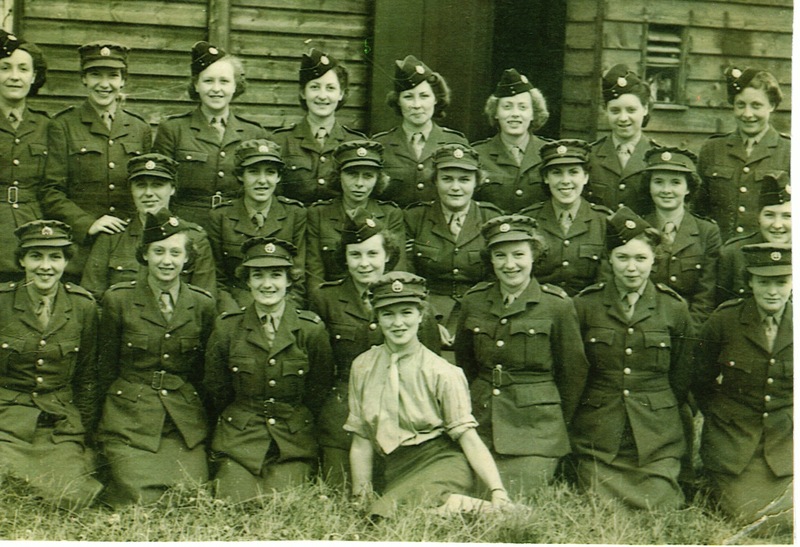 Joan (who is in the second row, third from the right) and all those gals, except the Sergeant (who is to Joan’s right), had volunteered and were in Honiton, Devon (an area famous for lace making). They were there for aptitude testing to determine to which jobs they would be best suited. Joan was assigned to Army Communications. She then went on to Bradford, near Leeds, for training and was eventually stationed in London, near Buckingham Palace. Joan served from 1942 to 1946. If you happen to be one of the individuals in this picture or if you know one of the people in this picture, Joan would love to hear from you. Just contact us and we’ll pass your information on to her. This entry was posted in Membership and tagged Membership on September 12, 2017 by Michael K. Barbour.